There will be server maintenance on Jan. 2nd. 2019. There will be no server maintenance on December, 26th, 2018. There will be server maintenance on Dec. 19th. 2018. For this year’s Christmas, we prepared some special Christmas event! Let’s participate and get some luck! We will have a Christmas Event! 1. Uninvited guest in Santa town. 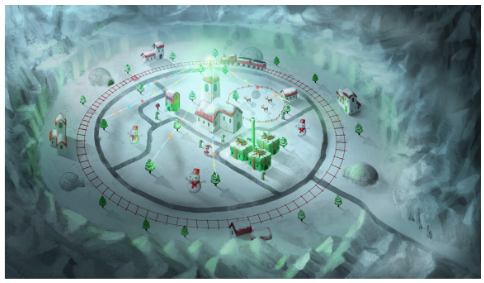 1)Event map, [TOY LAND] is added! 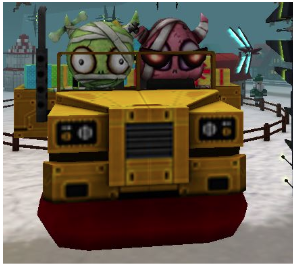 -Kill the monsters in the map, and get some rewards! 2)Protect the cathedral from Halloween monsters! -When destroy the car Halloween veil and guarder are mounted, Defense will start. -Then Halloween monsters will be appeared and start to attack the cathedral to plunder presents. -If you succeed to protect the cathedral in 15 minutes, rewards will be given. -Exchange the reward at each city’s event shop! -There will be [[Mark] Christmas Blue, [Mark] Christmas Pink, Hyper option card, Enchant Item Protect Card] show up with very low probability from Christmas gift. -More strategy points will be appeared. 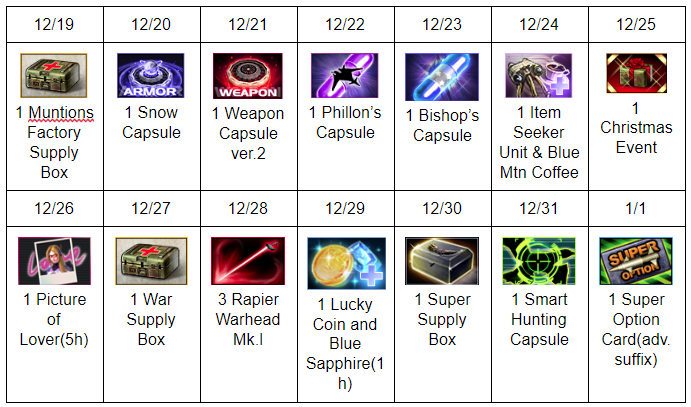 (+) every sunday in this period, 5 Ammunition Recharge Box will be given additionally. -Get special buff for Christmas!